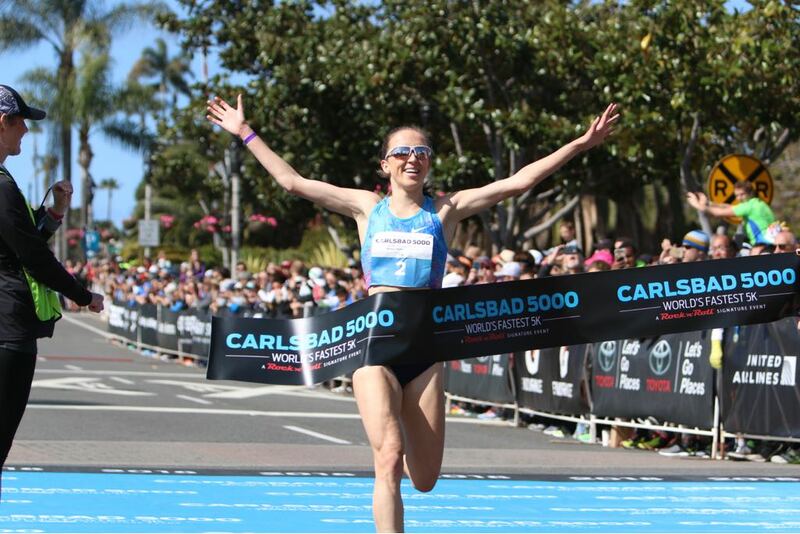 CARLSBAD, Calif., (March 25, 2018) - On a picture-perfect spring morning for racing along the oceanfront streets of downtown Carlsbad, Great Britain’s Emilia Gorecka edged out American Sarah Brown to win by one second at the 33rd running of Carlsbad 5000 today in a time of 16 minutes, 4 seconds. 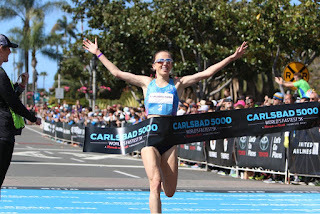 The 33rd running of the Carlsbad 5000 annually attracts amateur, competitive and professional runners from around the world. Known as the ‘World's Fastest 5K’ road race, the event is home of the current world 5K road records: 13:00, Sammy Kipketer (KEN), 2000 & 2001, and 14:46, Meseret Defar (ETH), 2006. Race day begins at 6:58amwith the Masters Men 40 and over, the first of six races that will take place throughout the morning. The elite invitational races, featuring the world's fastest professional athletes, begin at 10:15am.